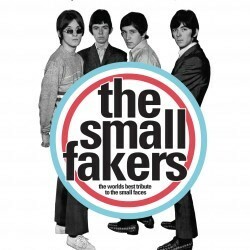 Formed in 2007, the Small Fakers are the UK's only tribute to the sensational Small Faces. Hits galore at every show including All Or Nothing, Itchycoo Park, Lazy Sunday and many more mixed in with B-sides and rare gems from the Small Faces' back catalogue. A visual and musical feast for all Small Faces fans. Ticket holders can stay for the Dig? club night at no extra cost!